Product prices and availability are accurate as of 2019-04-17 07:56:17 EDT and are subject to change. Any price and availability information displayed on http://www.amazon.com/ at the time of purchase will apply to the purchase of this product. 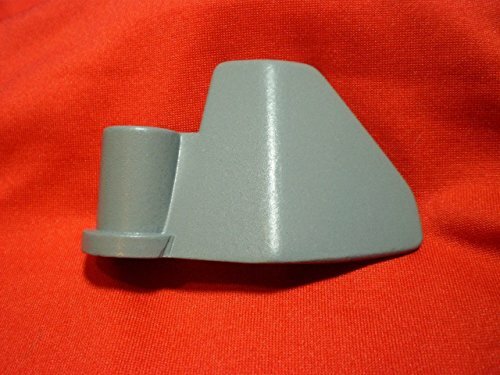 New AFTERMARKET Replacement For The DISCONTINUED Factory-Original SUNBEAM-OSTER Kneading Paddle Part # 145848 (aka 145848-000, 145848-000-000) PICTURED. Fits SUNBEAM and OSTER ExpressBake Breadmaker MODEL #'s CKSTBR9050, CKSTBRTW20 & CKSBBR9050-033 INCLUDING ALL SUFFIX -NP & SUFFIX -GF DESIGNATIONS. Also Fits OSTER ExpressBake Breadmaker MODEL #'s 5838, 5838-33 & 5838-026 BUT ONLY THOSE USING A 4-RIVET BAKING PAN WITH A SQUARE DOCKING COLLAR (See Baking Pan Comparison Image # 3). Bundled Offer Includes Fresh Packet Of Active Dry Yeast. TO PROTECT TRADE SECRETS ITEMS RECEIVED WILL DIFFER FROM IMAGES DISPLAYED. We Are Breadmaker Part Store USA - BBB-Accredited A+ Rated - Trusted Since 2002. Appendage Arm Armature Attachment Automatic Axe Axer Axing Bake Baker Baking Bar Beat Beater Beating Bit Blade Blend Blender Blending Bread Breadmaker Device Dough Hook Hooking Extender Extension Feather Hammer Hand Hook Impeller Implement Knead Kneed Kneeder Kneeding Maker Making Mix Mixer Mixing Part Peice Piece Prop Propeller Push Pusher Pushing Rake Raker Raking Rod Rotate Rotating Rotator Rotor Rotary Screw. 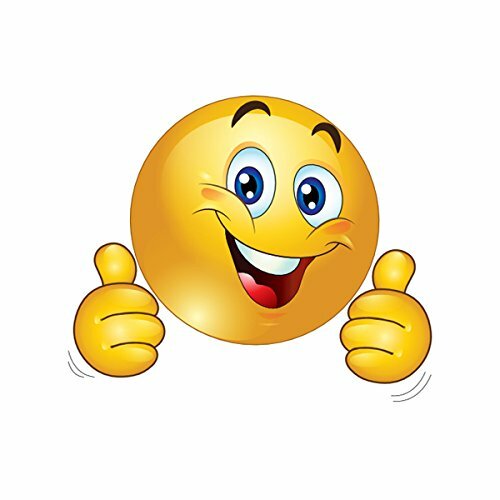 Shovel Shover Shoving Spanker Spanking Spatula Spare Spinner Spinning Stem Stirrer Stirring Thingy Tool Wand Wing Sumbean Sumbeam Sunbeen Sunbeem Sunbean Owster Oyster 583833 5838026 CKSBBR9050 145848000 145848000000 CKSTBR9050-NP CKSTBRTW20-NP CKSTBRTW20-GF CKSTBR9050NP CKSTBRTW20NP CKSTBRTW20GF CKSBBR9050033 CKSTBR-9050-NP CKSTBRTW-20-NP CKSTBRTW-20-GF CKSBBR-9050 CKSBBR-9050033 CKSTBR-9050 CKSTBRTW-20 PN 178278 PN 144171 PN 134854 Type BM-1 BM1. CUSTOM FIT EXCLUSIVELY FOR THE BRANDS, MODELS AND MODEL NUMBERS LISTED IN THE PRODUCT DESCRIPTION - NOT FOR USE WITH ANY OTHER MACHINES Tip: The recommended brand name and model number to use when shopping for parts can be found on the exterior of your machine at either the front, side, backside or bottom. While Supplies Last! 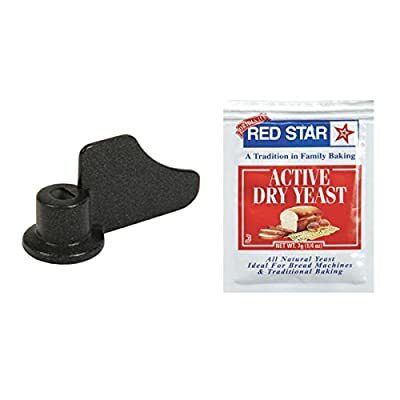 - Made of PFOA-Free Nonstick-Coated Die-Cast Aluminum Alloy - Bundled Offer Includes Fresh Sachet of Active Dry Yeast - Product Image Shown May Differ Somewhat From Actual Product Received Trackable USPS Package DISPATCHED WORLDWIDE Within 1 to 5 Business Days TO ANY DESTINATION Including Government, Military, Place of Employment, Post Office Box and Mail Forwarding Service Addresses! 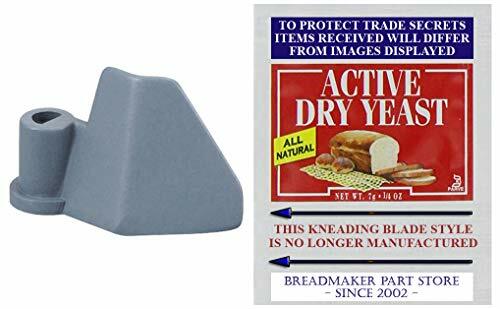 Popular searches for this item include 145848, 145848-000, 145848-000-000 bread kneader, bread shovel, breadmaker, dough bar, dough blade, dough hook, dough kneader, dough mixer, dough paddle, hook, knead bar, knead blade, knead paddle, kneader, kneading bar, kneading blade, kneading hook, kneading paddle, mixer, mixing bar, mixing blade, mixing hook, mixing paddle, paddle, shovel, feather and toaster.